On residential tree lined street in desirable Clifton Area near the new Glover Elementary School - this DISTINCTIVE BRICK COLONIAL has 5Bedrooms/2.5Baths with over 3,000 sq ft of freshly painted living space & refinished hardwood floors. 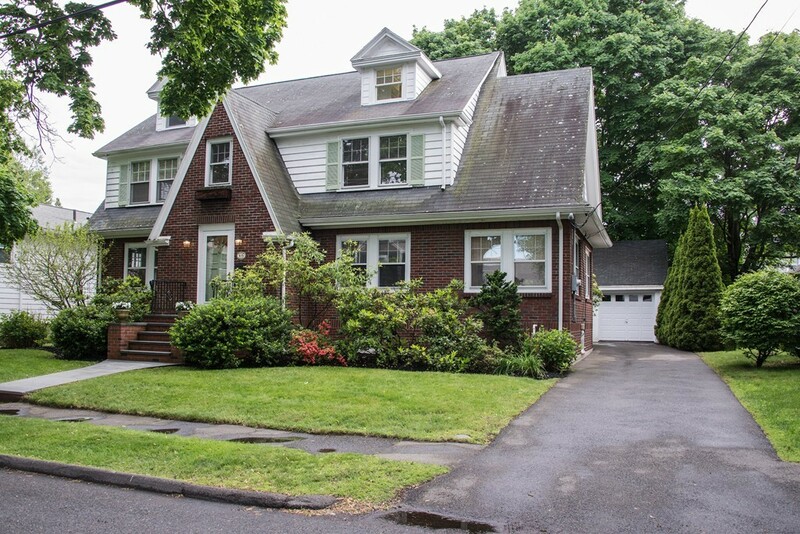 Distinctive features: elegant foyer with winding staircase to second floor hallway with window seat, large living room with fireplace/beamed ceiling,1st floor family room, gum wood paneled dining room, updated kitchen with center island/mudroom. Up to 5 bedrooms - starting with third floor dedicated master space with FP, air conditioning, walk in closet/dressing room & deluxe bathroom with dual vanities/glass power shower. There are 4 other bedrooms on the 2nd floor (one bedroom now in use as laundry). Two gas heating systems, lower level playroom, large fenced yard, deck and 2 car garage. laundry rm on 2nd floor.